Ignacio Uriarte | The Bottom Line "The Drawing Center"
On the occasion of his current exhibition at The Drawing Center, Assistant Curator Joanna Kleinberg Romanow caught up with artist Ignacio Uriarte to discuss his nostalgia for obsolete administrative supplies, and one of his first investigations—a 21-minute film that features actor Michael Winslow’s audio impersonations of typing machines from over the last century. The result is a satisfying and unexpectedly moving lesson in history. Joanna Kleinberg Romanow: Can you describe exactly how the work was made? Where were the typewriters from? What was your experience working with actor Michael Winslow? Ignacio Uriarte: I began by recording original sounds of typewriters from different countries and eras, spanning approximately one hundred years, from its invention to its slow demise in the 1980s. I was lucky that a technology museum in Berlin called Deutsches Technikmuseum stored over 3,000 different kinds of typewriter models, and provided me with access to their collection. I ordered the machines (each with varying sounds) chronologically and narrowed down my selection to cover approximately every three years, surveying a broad range of technologies with their characteristic sounds. In a second phase of this project, I hired the actor Michael Winslow, better known for his role in the Police Academy movies as Sargent Larvelle Johnes, to impersonate the sounds of the typing machines. 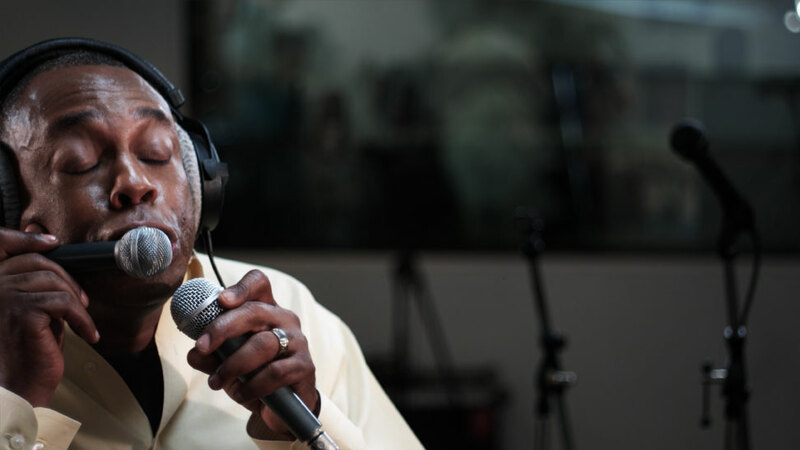 We went to a professional recording studio, where a two-person crew filmed Winslow as he listened to the original typing sounds and nuances on a set of headphones, and then reproduced them with his mouth. Winslow worked closely with the German sound engineer Boris Wilsdorf and through a mix of vocal capacity and sound engineering (microphones and effects) they were able to get very close to the actual sounds of each machine. The final product is a twenty-one minute film, which maybe one day will work as an archeological document. JKR: Can you expand upon your interest in restoring antiquated office means and materials, specifically the typewriter? IU: On a personal level, I think it has to do with my father who doesn´t own a computer and still uses his typewriter all the time. On a broader level, I find it interesting how the typewriter was once the ubiquitous soundtrack of the office, and I wanted to pay homage to this obsolete technology, specifically to its sonic qualities. The typewriter is quite a musical machine: it is played with a key-board, much like a piano, and it has a distinctive percussionist sound. In many ways through the vocal recitation of the mechanics of the device, the typewriter becomes humanized. Coincidentally, the first Police Academy film came out in 1984, and so did IBM´s earliest personal computer which really started the digital age. Thus the birth of the film and the death of the typewriter are strangely connected. JKR: How do feel that your audio and/or filmic works fit within your overall drawing practice? IU: I suppose as an individual piece this film fits least with my practice, particularly because my work is usually made with very humble means and this film was a big production. On the other hand, I was always interested in time-based media, be it sound, animation, even drawing. That is why, when I draw, I tend to make multi-part, sequential work in which the viewer can decide the speed or the rhythm of its reading. Systematic scribbling like mine—working on standard-sized documents, following methodical routines—puts my work somewhere between drawing and writing, between art and documentation. The film shows the residual work of writing. Actually, Winslow recites (without knowing) the same phrase again and again: “The History of the Typewriter recited by Michael Winslow.” He is reciting a self-referential mantra. The sound becomes a translation of the typed phrase. As a side note, during the preparation of the film, which was often very slow, I felt the need for some immediate action. That is why I started making my first typewriter drawings—geometric compositions called Adler Drawings. While they don´t relate directly to the film, they chart the important evolution of taking an idea to paper. Ignacio Uriarte: Line of Work is on view in the Drawing Room from January 17 through March 13, 2013.